Edinburgh airport has a consolidated car hire centre where you can find all the major car hire brands. GB photo-card driving licence holders are being warned that the DVLA is abolishing the paper counterpart on 8 June 2015 and will cease to have any legal status. The counterpart was introduced to display information such as endorsement/penalty points. If you are planning to rent a vehicle in the UK or overseas then you should contact your rental supplier to clarify what actions you may need to take. 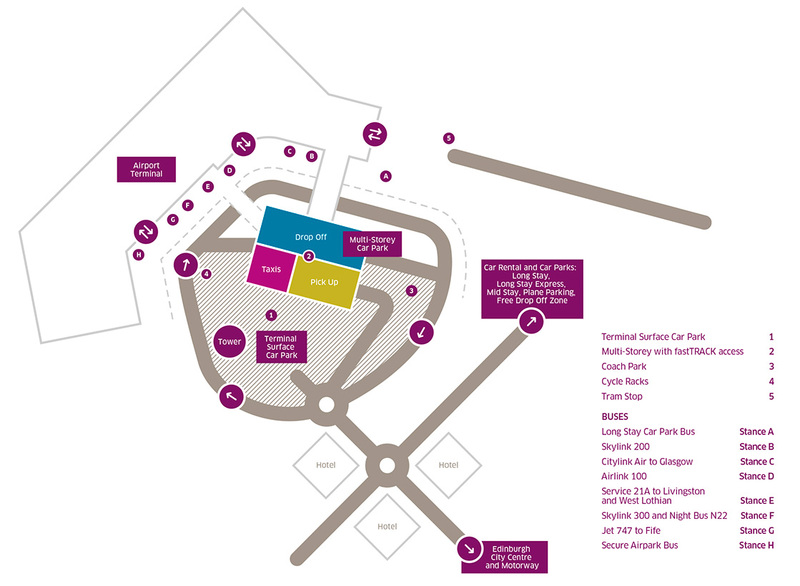 Please use the map below or the information pods in International and Domestic arrivals.